Yeasterday I found this blog via Instagram and I had to test out the challange of this month. You have to use Kraft paper as background, use the sketch and add something that glitters. 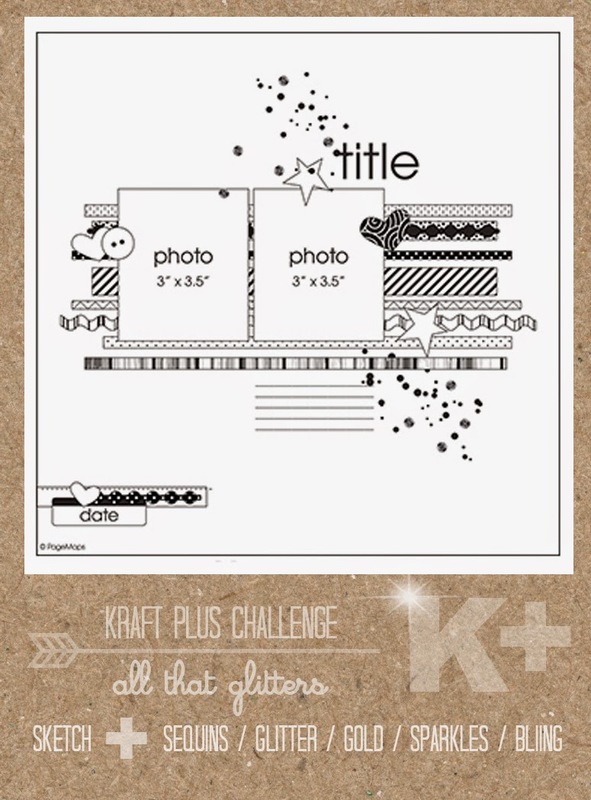 Det här inlägget postades i Digital scrapbooking, Kraft plus challange, LO och har märkts med etiketterna digitalt, gold, kraft, kraft plus challange, the digi scrap parade. Bokmärk permalänken. STunning and BEAUTIFUL. Adore how you’ve used Kraft paper & the glimmer is DELISH! So happy you shared with us at K+ this month!!! Love how soft and subtle those colours are .. but wow! what an amazing effect!